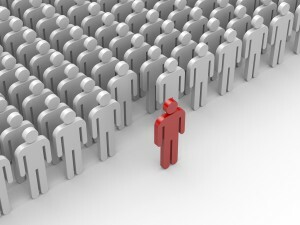 Leadership is a topic that we tend to think about as it relates to an individual leading a group. In claims we are always faced with leaders that manage us and help, hopefully, to get the best out of us. But leadership does not mean that you have to have a group of people that follow. Leadership is a trait that extends to what you do every day. As a claims professional there are always opportunities to lead. Claim files need to be led to a place that provides fair compensation in the quickest way possible. It got me thinking that many of these traits could be adapted to the handling of a claim file. Clarity: Claim files must speak for themselves and as such a good file will clearly outline the nature of coverage, liability, damages and have a clear plan of action. Consistency: The key to a good claims organization is consistent claim handling. Reserves must be consistently set over a book of business to help ensure the rest of organization can function correctly. Actuaries need consistent reserve to help set IBNR and pricing, Management needs consistency to ensure the financial stability of the company and Underwriting needs to ensure claims are consistently handled from both a pricing and customer service perspective. Authenticity: I equate authenticity in a claim file to ensuring the information is accurate and that the claimant is approached with empathy and claims are handled with the utmost good faith. A claim file should be real and should demonstrate a fair assessment and appropriate compensation was made where appropriate. Passion: I do not know any successful claims person that doesn’t passionately approach what they do. Claims people are advocated for the defense and, within the realm of good faith claims handling, must passionately speak for the issues of the case to provide the best resolution. I am sure we could all think of more traits that make up a well managed file, however, I think looking at a claim file as leading is another way to enure good claims practices. What are some other leadership traits a good claim file will show? Tagged with Best Practices, Claims Management, Good Faith Claims Handling, Leadership.